Working in conjunction with Architects, Interior Designers and Developers has benefits for all concerned, especially your client, and it ensures there is continuity of design from inside to out. 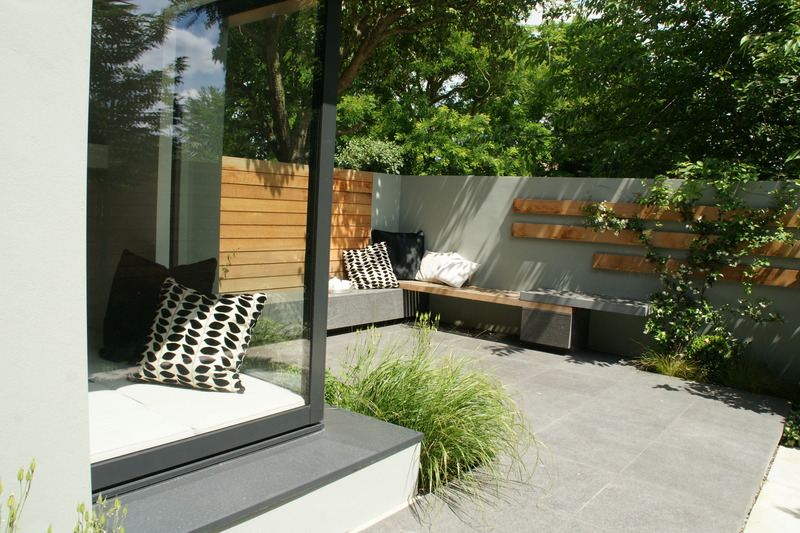 Continuity of design into the landscape is essential with the popularity of large glass extensions, and living spaces that open up to the garden. If, the client is paying huge amounts for the interior architecture of the house, why would they not want this extended into the outdoors? And why wouldn’t the architect or interior designer want their work complemented by an exterior designed with the same ethos? Developers, too, can benefit from the landscape being attractive: it makes for a quick sale and no hassle move for the buyer. 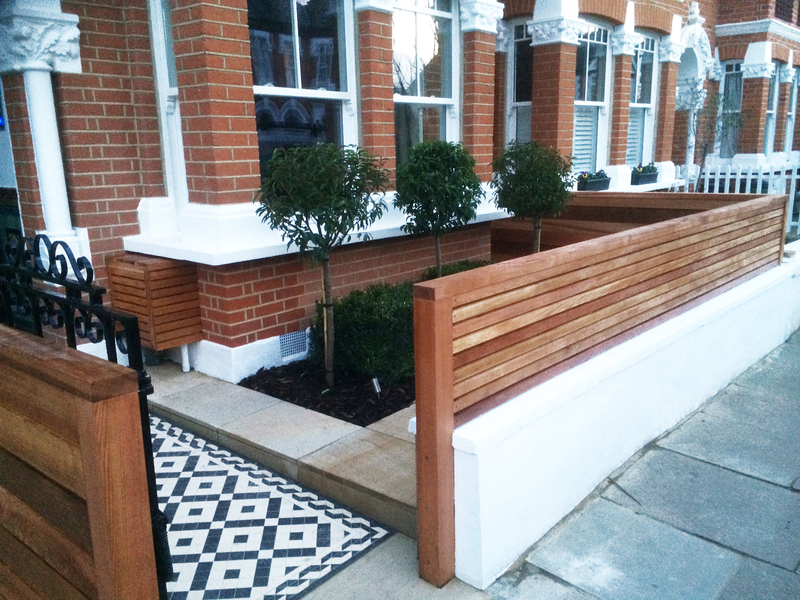 Landscape design really should be considered at the same time as renovation or building works. Why would a client want more disruption after work on the house has finished? And more often than not the garden is an afterthought when the money has run out, so huge compromises are made. Actually, if there is a landscaping plan in place and the work is done at the same time, there are huge savings to be made, and contingencies can be made for lighting or water features which can be added at a later date. For developers and investors, there is nothing quite like a beautifully landscaped entrance to a house for adding value and saleability to a property. So why don’t they get more involved with landscape designers? For a proportionally small extra cost they can save and make more money. 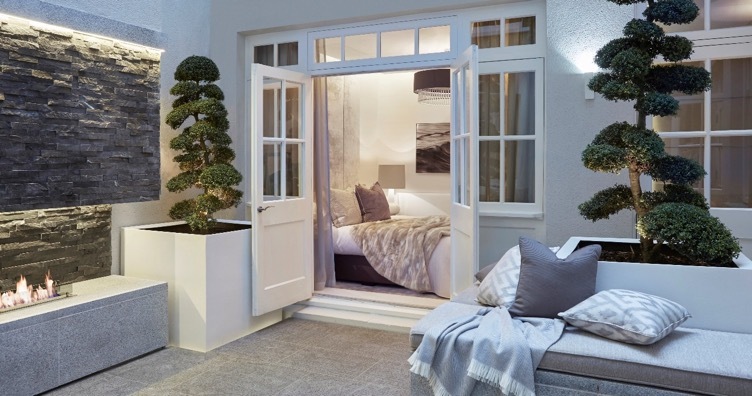 The projects I have worked on with Architects, Interior Designers and Investors, in both Oxfordshire and West London, have been a huge success and inspiring for all involved, including the clients. In conjunction with Laura Hammett a multi award winning London based interior design and interior architecture studio, who specialise in luxury residential projects throughout the UK and abroad. 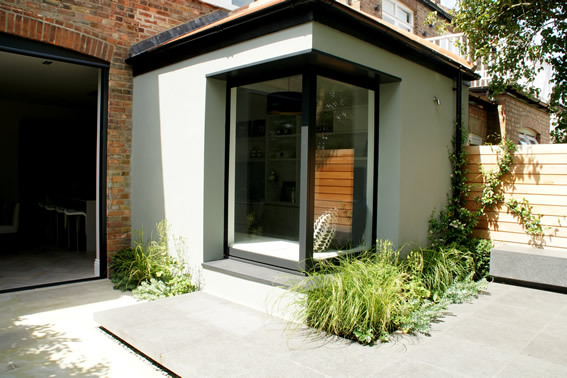 Here we designed the inner courtyard as an extension of the interior. Keeping to the clean lines, grey and white palette and careful selection of stone for the geologist client. It featured a slate clad recessed fireplace, three giant, cloud pruned Ilex crenata trees, granite benches, and a raised terrace, which appears to float over a bed of Scottish pebbles. Laura Hammett were also involved in my first West London project for unmodernised.com in Chiswick where I designed a two tier courtyard which mimicked the multiple layers of the architecture as well as the materials used indoors. 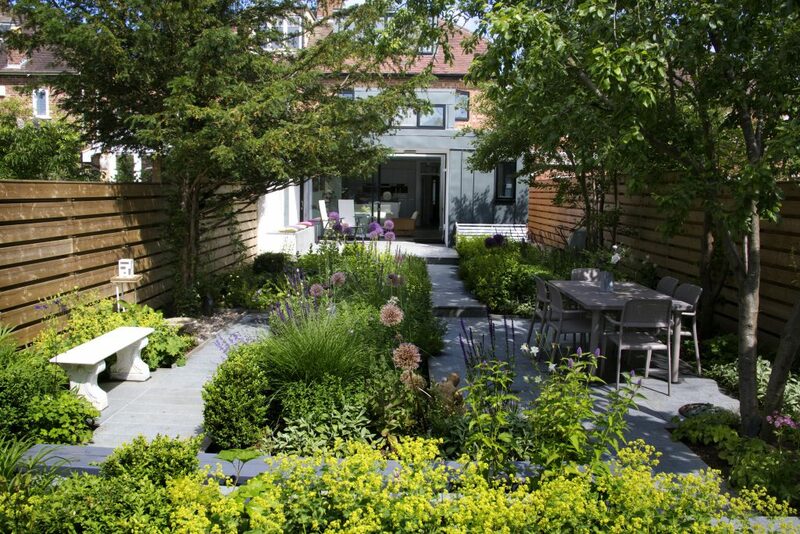 In 2012 I worked with Stuart Barr Ltd and BDM Architects to create a very special garden, which has been featured in both Homes and Gardens and Modern Gardens magazines. 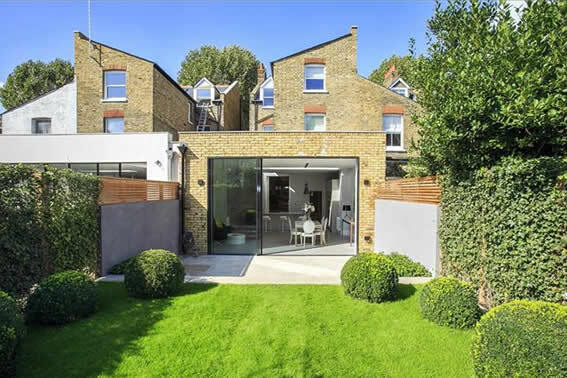 It features granite planks, a sunken mid-section, two terraces, bespoke fencing to match the industrial look of the exterior of the house and multiple planting beds. Each year Sarah Naybour Design partners with local and national Architects to support the delivery of world-class garden design – complementary landscape design, that really works.